For many years, Queen Palms have been used for quick shade, screening and a lush tropical accent across the valley. They are used in several landscape designs, are very clean and easy to grow. Queen Palms originally came from Brazil and Argentina, but can now be found in the western part of the U.S. where winter temperatures don’t drop below 20 degrees. These tropical gems can grow up to 20 feet tall and like all plants, need proper treatment and care in order to thrive. When it comes to caring for a Queen Palm, there are only three important factors to keeping them healthy. Watering Correctly: Queen Palms are quite similar to grass, they don’t have extremely deep roots, therefore, it’s important to water the entire root base. A good rule of thumb to make sure you’ve watered enough is to get a long screwdriver and insert it into the soil two to three feet away from the trunk. If you’re unable to do so, keep watering. 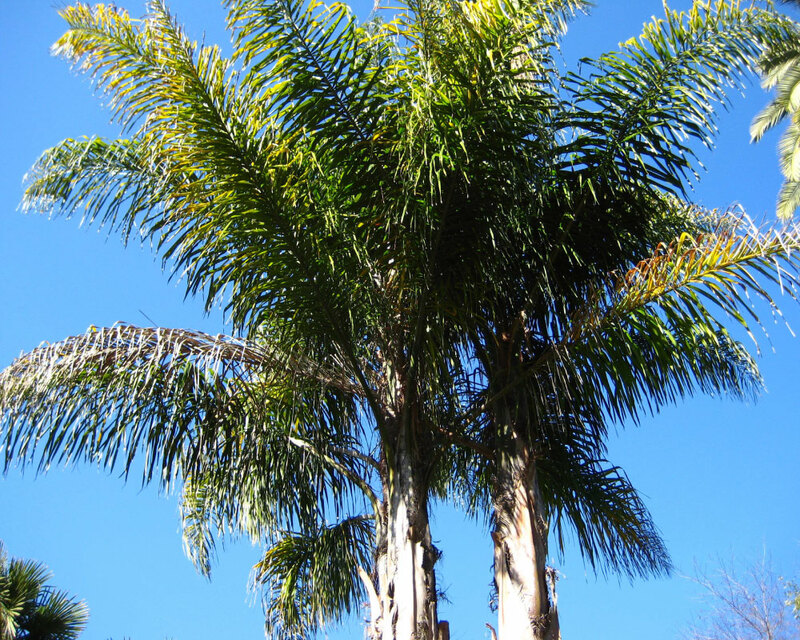 Fertilize: Manganese is critical to the health of Queen Palms. Unfortunately, this rare nutrient is short in supply here in Arizona and must be fed to the Queen Palms by fertilizer. The best fertilizer for these royal palms is a manganese-rich formula. A trees root system can be as wide as the canopy itself. So it’s important to space emitters wide and not close to the trunk. This will promote root growth and improve tree health. Trimming: Not only does trimming help keep Queen Palms looking magnificent, but helps keep them healthy too. When a frond begins to yellow or brown, it’s time to remove it so a new frond can grow in. No Queen Palm wants to be giving all their healthy nourishment to a dead frond when it could be going to a new one. Queen Palms are beautiful trees and give Arizona a unique tropical look in the middle of the desert. It’s important to take proper care of them so they can continue making Arizona spectacular. If you have a Queen Palm tree or two and need some help caring for it, call Greenkeeper today and we’d be more than happy to come out and help.